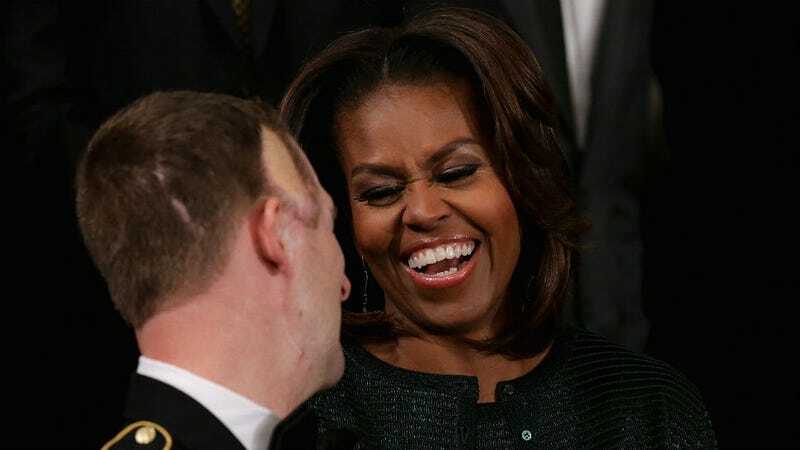 After holding out for nearly three seasons, FLOTUS Michelle Obama has finally fallen for Scandal's Olivia and Fitz drama just like we have and she's admitted it to the public. "You know what, I hadn't watched it until this past vacation — and we went to Hawaii so I had a long flight — so I watched all the seasons," the first lady said. "I caught up on 'Scandal.' I love Kerry Washington. She is amazing, so it makes the show fun. It really does – it was fun to watch." We know Mo, we know.